When you invest in a Bennington pontoon boat, you will enjoy a unique balance of versatility and luxury in one affordable package. That’s why we’re so excited to bring you our customizable and powerful 2019 Bennington S Series pontoon boats. Whether you’ve been searching for a sleek pontoon boat to show off this summer or you need a boat that can comfortably accommodate the whole family, the 2019 Bennington S Series has a broad selection of models and features to satisfy even the most selective of boaters. Read on to learn more about our boats and where to find your local Bennington dealer. At Bennington, we know better than anyone that modern boaters want more from a luxury pontoon boat. That’s why our pontoons not only look great on the water but feature customizable performance packages that put the power in your hands. The new 2019 S Series makes it easy to design your luxury pontoon boat from top to bottom. And with so many awesome features available, there’s never a reason to sacrifice quality for an affordable price. Why settle for the same boat as your neighbor if you don’t have to? Anyone should be able to build the boat of their dreams completely tailored to accommodate every need. Whether you’re a dedicated watersports fan or you prefer to spend your time in pursuit of the perfect catch, the 2019 Bennington S Series is sure to fit the bill. 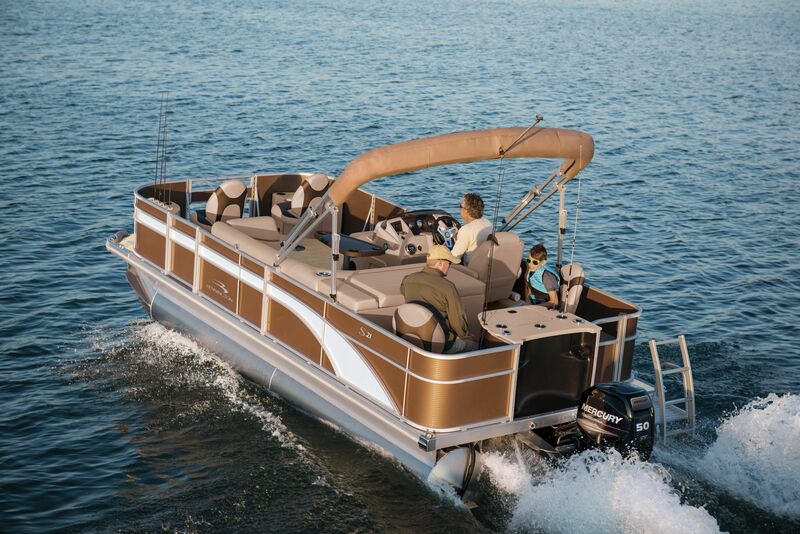 Get ready for the summer season by taking a closer look at our many pontoon boat customization options today! Ready to begin the design process? Contact your local Bennington dealer for more information.